Most collectors of vintage Littlest Pet Shop sets grew up with them. The G1 LPS line has proven itself to be so endearing that many of us are still trying to complete our collections after all these years. Please share your own LPS memories, photos, etc. with us! How did you begin collecting LPS? What was your first set? What was your favorite set as a child? Did your friends collect, too? To make a submission, e-mail me with 1) your internet screenname (and/or real name) and 2) your memories and/or photos. 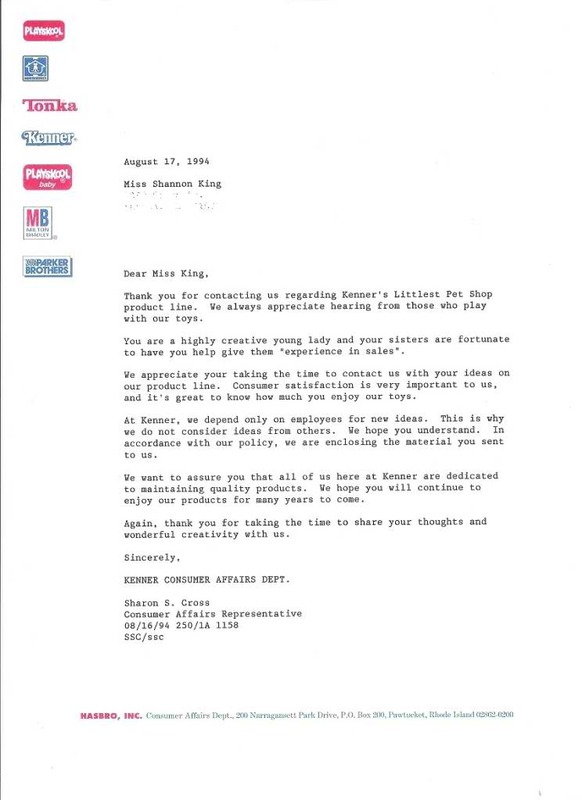 I was 13 when I wrote this letter. I sent a bunch of packets that I had made too - I wish I could share it all with you, but I don't have the time to scan it all. It's really just kid stuff anyway. They wrote me back! This made my day, of course. When I got into Littlest Pet Shop, the LPS line was starting to go out (I think it was 1995-1996 when I got into them). My mom and dad got me and my brother a few sets each to have something to play with and keep us quiet in church. Growing up I never had a favorite set but I did have a favorite animal. I loved (and still do) the black puppy from the Puppy Pals with Playhouse. 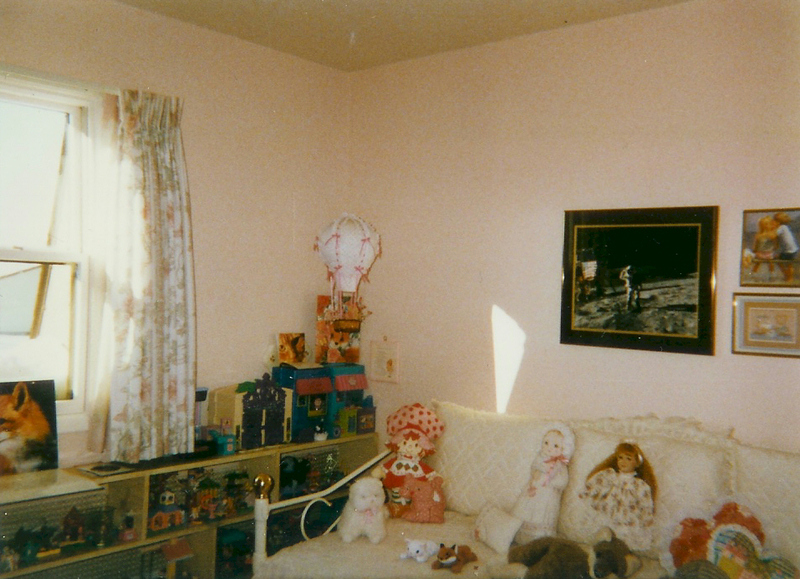 I use to always have that puppy and the yellow kitten from Cutesy Kittens with Kitty Playhouse with me. Those were my favorite two. I would always have them be best friends and eventually get married - even though I was always told that cats and dogs don't get along with each other. They just always seemed to go together - they made and still make a cute couple. :) By the time the LPS line was completely out, I was really into them, and I would always look for them. I remember finding the Care Center in a foreign box (yet we were in the USA) in a Value City store. I was SO excited to have found some! The box was in bad shape but the items were all great. The best part of the LPS is that even though I am almost 23 years old, I still like to get them out and play with them. I know it sounds weird, but you have to understand; when I have a stressful day or am just not feeling great, these little toys take me back to a time where I didn't have a care in the world. I was carefree and living every moment. It brings me back to playing at my Nana and Popi's house (they have both passed on since then, and the house was sold, so these toys are a strong and only connection). I also think they made me love animals with such a passion that I carried on into my adult life. These little toys still bring a smile to my face, and the best part? I can't wait to give them to my children, and see them being played with again. They don't make toys the way they used to, and I am so glad I cherished these toys and kept them intact. LPS was one of the best parts of my childhood and I will always love them. I recently found this photo while I was perusing my old scrapbook and it brought back such memories! When I was 11 I wanted to have an animal themed birthday party, and of course my Littlest Pet Shop had to be involved! I got the great idea to decorate my birthday cake and make a scene with them. I remember my mom baking the cake and then I took great pains in frosting it and placing my pets just so. I remember being so proud of how it turned out! The Dolly Dolphin left a huge hole in that piece of cake, but I thought it was just so cool how she looked like she was leaping out of the water. And looking at the picture now I do think I did a pretty good job. :) I even still have most of those animals on there, but some I have lost over the years. 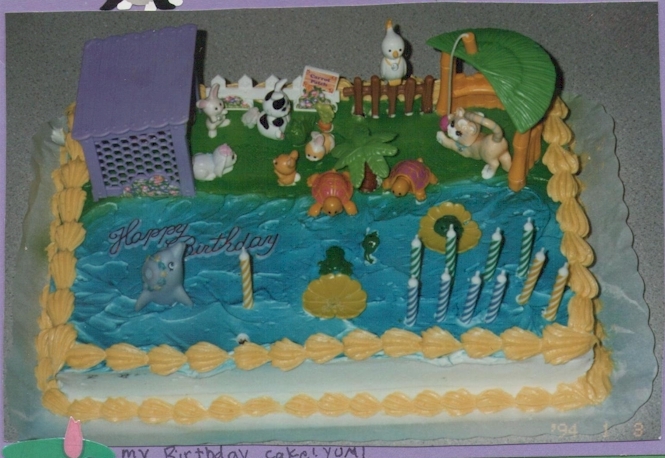 It's fun to look back and see the pets I chose for my cake and remember the fun I had making it. 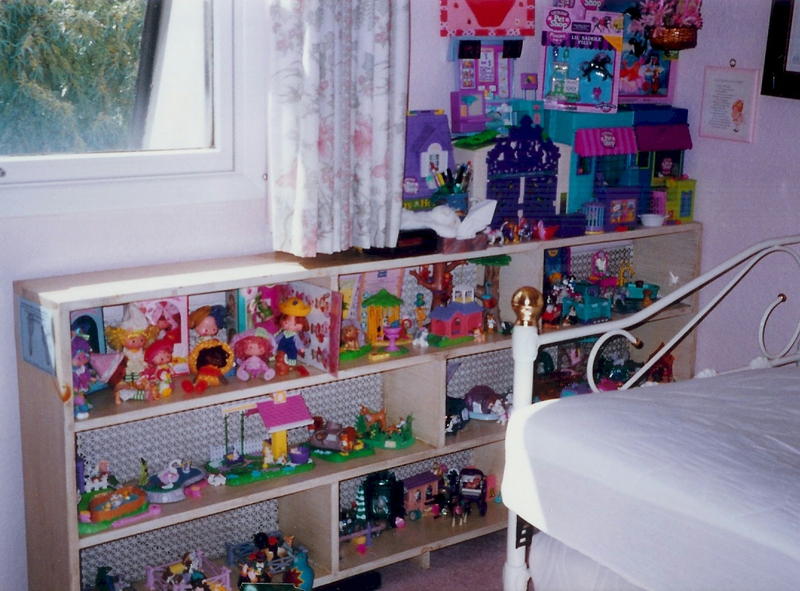 I was so in love with my Littlest Pet Shop (heck, I still am)! I clearly remember going to an after school program and they had a whole bucket full of vintage LPS. I loved setting them up in the pet shop playset! I loved the kittens the most because they are so cute! I always pretended people would come and visit the pet shop to buy pets. I made sure to include the appropriate accessories when people were buying pets. If you bought a kitten you would get food and a ball of yarn! If you bought a puppy you got a dog toy and food! I could play for hours and I always got annoyed when someone else would want to play and would do everything wrong. You do not get a fire hydrant when you buy a kitten! I always asked my parents for LPS and they never got me any because they had them at the after school program lol. Now I have all of my favorite playsets and more! When it comes to childhood memories of my Littlest Pet Shop toys, I think the thing that stands out most in my mind is the odd, seemingly random names that I gave to each of the animals. The first set that I remember getting was the Toddling Turtles. I originally planned to use them as an addition to my collection of turtle figurines, but that plan fell by the wayside once I actually opened the box. The expressions on these toys’ faces gave them so much more personality than my other turtle figures. I was so charmed that I just had to name them; none of the other turtles in my collection had names. Working off of the alliteration, I named my turtles Tipsy and Topsy. And as they say, that was the beginning. The next Littlest Pet Shop set that I just had to have after I saw it was the Color Change Chameleon. Unfortunately by the time I had the money to buy it myself, it had disappeared from the shelves of the local Toys R Us store. I settled for the Racing Lizard set instead, which used the same mold but wasn’t nearly as cool. I named him Lucky Lizard. I was eventually able to find the Color Change Chameleon set at a flea market. I named him Karma, as in Karma Chameleon, the 1980s song by Culture Club. Another set that I picked up second hand was the Lovebirds. I called them Scully and Mulder, after the lead characters from The X-Files tv Assortment. Naming the Mommy Swan and her babies was easy. My sister took ballet classes at the neighborhood rec center, so I was familiar with the Swan Lake ballet. I named the Mommy Swan Odette and her two babies became Siegfried and Derek, Derek being the name that was used for the Siegfried character in The Swan Princess animated film. I still don’t know what I was thinking when I named my Swimming Ducklings and their mother. At the time I was reading a book called The Shell Seekers by Rosamunde Pilcher as a summer reading assignment for school. I hated everything about that book, so I don’t know what compelled me to name my Littlest Pet Shop ducks after characters from it. I think I changed the names later, but I can’t remember for the life of me what I changed them to. My friends started my Littlest Pet Shop collection for me when I was a child. I was given the Hurrying Hamsters and Bashful Bunny at one of my birthday parties, and that's when I fell in love with LPS and became a collector...I remember taking the hamsters everywhere with me and studying the photos of other LPS sets on the backcard. I loved going to our local K-Mart and Toys R Us to see what new sets were available. In some ways, collecting was a bit more fun and spontaneous in the days before marketing on the internet became the norm - walking into the "pink" aisle at Toys R Us always held more of a surprise (I remember being so excited when I found the Baby Tiger in stores for the first time, since I had no idea LPS was coming out with a Zoo Assortment!). At any rate, my collection grew steadily. There were always a few particular sets that seemed difficult to find - I searched for the Jogging Gerbils for ages, and I never once saw the Baby Calf, Lamb, or Mommy Hen & Chicks in stores. I was a bit disappointed with the 1993 LPS line - although I loved the Zoo Assortment, I wasn't fond of the re-released versions of the 1992 sets (as an adult collector, I've changed my tune and have been trying to collect those sets). I loved 1994's Chatter Pets and Splashtime Pets, but I found 1995 to be a bit hit-and-miss in the LPS line. My collecting petered out a bit at that point...I was always fond of the more "realistic" looking sets, so I wasn't as drawn to the Dazzling Hair Pets or the Cartoon Assortment. I remember looking everywhere for 1995's Pony 'n Pet Stable and the Sparkling Baby Ponies and never managed to find any of them in my hometown. 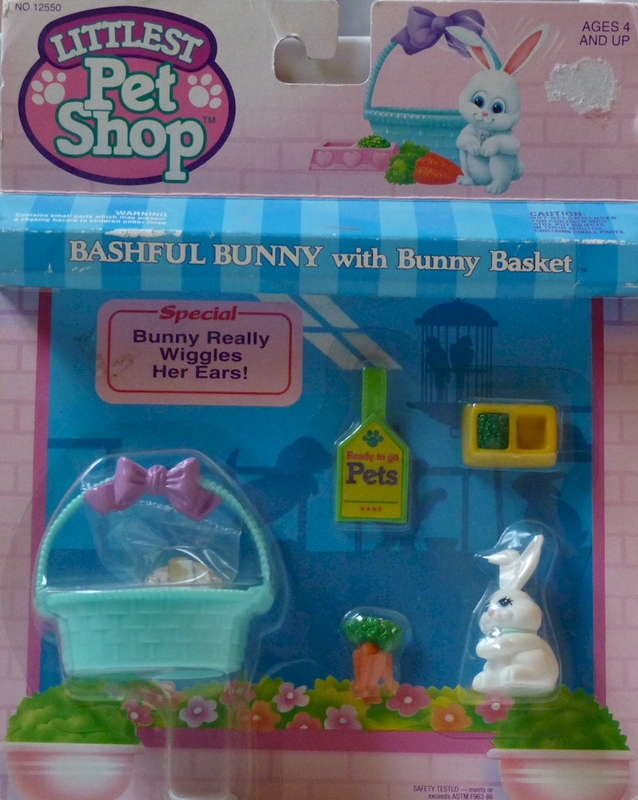 Although I didn't collect LPS as intensely as I previously had, 1995 also brought my favorite Assortment in the whole toy line - the Country Fun Pets. I loved the Country Garden Nursery and Newborn Families. I thought that the whole country theme was so beautiful and charming, and I loved the faint floral scent that the pets had. Plus, the pets and their homes were all new molds - they weren't recycled molds from previous sets. In 1996, the last year of the LPS line, I exclusively collected the Country Fun Pets. I loved the swans, foxes, and deer, and I searched high and low for the Country Home Carrycase Playset. Stores like Toys R Us were stocking fewer and fewer LPS sets - I remember the LPS section of toy shelves being huge back in 1992. By 1996, there were clearance bins full of older LPS sets (I'm now kicking myself for not stocking up on those!). I did finally find the Country Home Carrycase (on clearance) at Walmart for a mere $5.00. I was pretty sad to see the LPS line disappear when it had started to produce my favorite Assortment. Several years later, my sister found some LPS sets for sale at a discount toy store - that's how I acquired my MIB Li'l Saddle Filly, Sea World Splash Zone Deluxe Playset, and Playful Persian. I searched online for LPS-related web sites and found Tabby's fantastic site - but the community didn't seem very active. I finally boxed my whole collection up and didn't think much of it until after college. 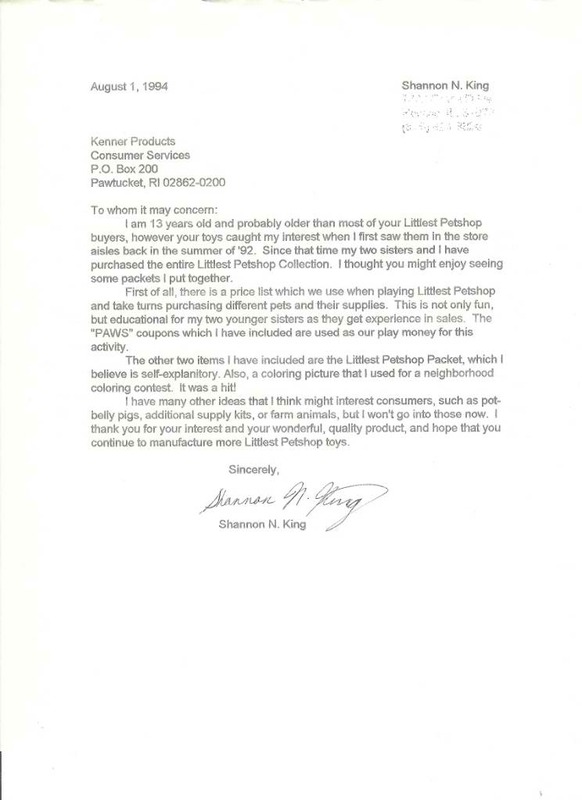 I bought a few sets on eBay at that point, and then I found the Kenner Littlest Pet Shop Forum. My interest in LPS was re-ignited thanks to that lovely group of collectors, and that's how I found myself collecting Littlest Pet Shops again as an adult.